Moving doesn’t have to be difficult. With your local Bainbridge Island movers at your service, you’ll find yourself at home in your new city quickly and safely. Gigantic’s Bainbridge Island Movers make you the number one priority and take the best care of your items from start to finish. As a picturesque island community, Bainbridge Island keeps you on top of sustainable issues and busy in the parks. Perfectly located in Puget Sound just west of Seattle, Bainbridge Island is both the city and the name of the island. The island has a one of a kind land formation that allows for great diversity. With inlets, bays, lagoons, tide flats and much more, the area is a geographical wonder. As an island city, moving to Bainbridge Island will give you plenty of opportunity to try out your sea legs. Head out and hit the water in your own raft or dingy, or just view the scenery from the shore at the Bloedel Reserve. Let Gigantic Movers properly pack and transport your bike, so you’re ready for the “Chilly Hilly” bike ride in February if you feel up for it! As a local mover, we always work at the highest standards to keep your items safe and in the best condition. Gigantic’s Bainbridge Island Movers takes care of each detail of your move to Bainbridge island with the utmost professionalism so that your mind can focus on other things. Once you’ve moved to Bainbridge Island you’ll see just how much there is for you to take in. History buffs will be thrilled with the Japanese American Exclusion Memorial or the Historical Museum, and kids can have fun and learn at the Kids Discover Museum. Don’t pass up the Museum of Art or the Parks either, Bainbridge has a number of beautiful places to keep your mind and body busy. If sustainability is important to you, you’ll find yourself happy and engaged in the city. With nearly 25,000 residents, this small city might not seem like a base point for change, but Bainbridge Island has been trend-setting for a few decades. The city has banned the use of chemicals and pesticides and is part of the plastic bag ban. Let Gigantic’s Bainbridge Island Movers make you feel at ease during your move to Bainbridge Island so that you can focus on the more important things in your life. From boxing your items to transportation and delivery, Gigantic movers takes care of it, so that you can indulge and celebrate at the Rolling Bay Winery or the Bainbridge Island Brewery. 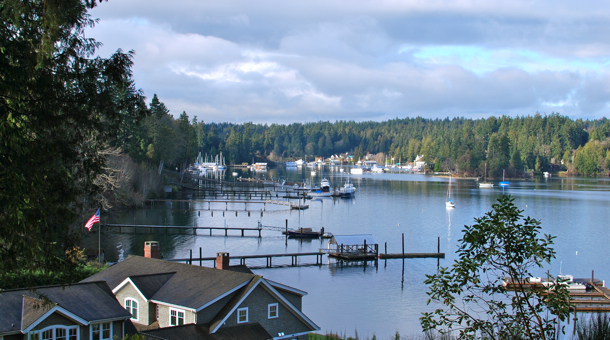 Get an inside look at Bainbridge Island on the city website Bainbridge Island Gov.